A new monthly jazz night is starting up at Holy Trinity Church on Boar Lane in Leeds. 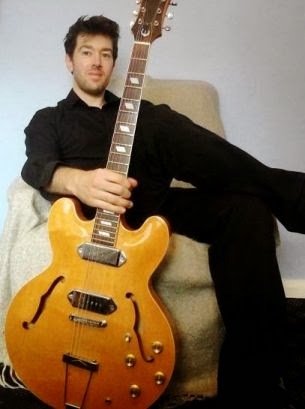 The launch gig for the night (called Somethin' Else) will take place on March 18th and feature the Adam Frost trio (pictured above) with Adam Frost on guitar, Matt Aplin on piano and Sam Jackson on bass. The gig is free entry. Doors 7.30 with music from 8pm.